So, what has changed? Well, this is not a major release so we’re not getting CSS Grid yet, but the changelog is pretty long. The folks behind this release have grouped the changes into 3 categories: improved stability, improved accessibility, and improved browser support. What this means is that there are lot of bug fixes, but not so much in the way of features. There are also a lot of fixes to the documentation. But that’s not to say that’s a bad thing, in fact, it’s a very good thing. First of all, there are no breaking changes and 6.5 is fully compatible with previous versions. A few changes might result in changes to the appearance of your work so it is worth checking. But the good news is that many of the fixes are to correct unexpected behaviour. Work has been done on dynamically created components, to ensure they initialize correctly, and an issue with older browsers handling breakpoints badly has been improved. Support for smaller font sizes is also improved. At the heart of Foundation is its XY Grid, and this release sees some very welcome improvements, including fixes for some slightly dodgy behaviour; a vertical frame will now take the full height, and grid frames now get the vertical scrollbar they should. The Abide form validation plugin has been improved to allow for escaped characters in URLs, and a11y attributes will be set automatically on form fields, labels, and on errors. There have been accessibilty improvements in all the menu plugins, too, with accessibility best practices being applied to other components as well. Many of the changes in this release will probably not jump out at most users of Foundation, but a lot of work has gone into behind the scenes. That is not just what it does, but how it actually does it. And the point of using a framework like Foundation, is so that you don’t need to peak behind the curtain. But, at the same time, it’s good to know that the wizard is in tip top shape. 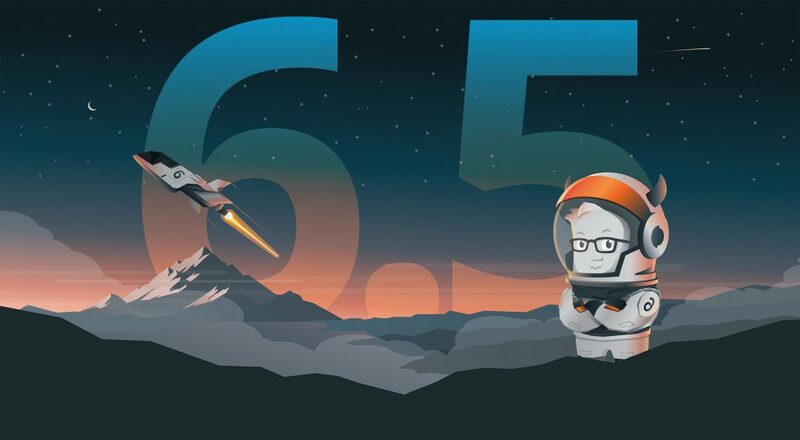 While Foundation 6.5 does not have lots of showy new features, it does have a sleeker, more finely tuned engine. Its developers have listened to its community and have done a lot to address issues and niggles that the community raised. Ease of use should be increased, and anything that helps ease the frustrations of making designs look good on all browsers and all viewport sizes is definitely to be welcomed. Plus, the docs have been improved with some better examples and more comprehensive coverage in places. For a little while there, it looked as though Foundation might have reached its terminus, but it seems they checked the vault and found some inspiration.